Here are the best ways to use those NFC tags that you can buy for a couple of pounds from Amazon or Ebay. If you have an android Smartphone with NFC, you can purchase NFC tags and do the following. 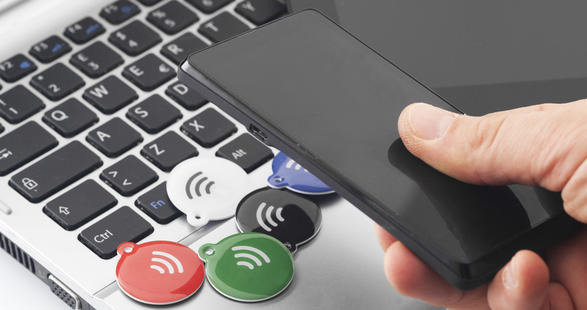 Once you have your trigger task set up on the NFC tag, you can simply tap your Smartphone on the NFC tag to execute the task. Make a personal hotspot for your laptop and tablet so you can easily connect your Smartphone internet. Auto start your computer when you get home. Simply have an NFC tag on your door so as soon as you get home you can tap it to turn your PC on. Connect to Bluetooth and enter driving mode when you dock your phone in your car. Turn your alarm off by tapping the NFC tag, place the NFC tag in the bathroom so that you are forced to get up and tap it to turn your alarm off. Silence your phone and turn Wi-Fi off when you are at work and do the vice-versa when you are at home. Set timers for lunch breaks when you are at work, by tapping your phone as soon as you go on lunch. Put your phone on power-saving mode or night mode when you are in bed and reverse the action when you wake up. Print pictures from your photo gallery by simply tapping your smart phone to your printer to print the selected photo.